is located at the civic center in Los Angeles and was completed in 1928. This building was designed by AC Martin Partners, Inc., Albert C. Martin, Sr. and John Parkinson and stands 454 feet tall with 32 floors. 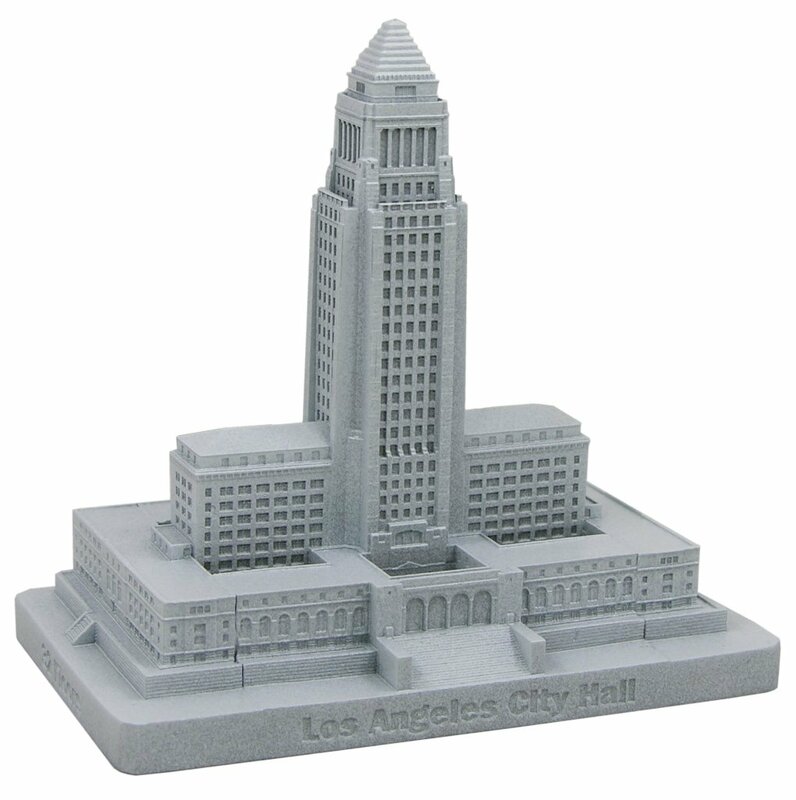 City Hall was the tallest building in California for 36 years (1928-1964) and has been featured in many popular movies and T.V. shows such as The Adventures of Superman and Dragnet. This pewter replica stands just under 5 inches tall and is finished in white. This model’s scale is 1 inch = 100 feet.